The process of medical billing involves multiple individuals from the administration and the receptionist to the medical biller. 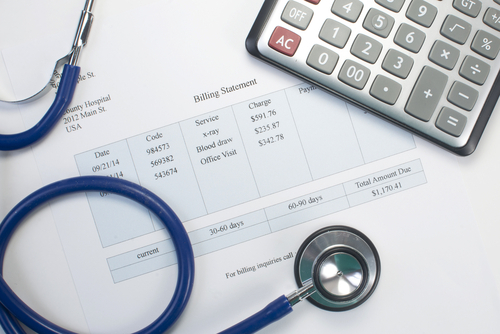 The medical billing process is essential for hospitals and clinics, therefore it is important for it to run smoothly with minimum human errors. The process starts with a visit to the doctor’s office where the patient’s medical record is created/updated. The doctor’s office assigns diagnosis and procedure codes helping the insurance provider determine coverage and the necessity of the medical services. Once the codes are confirmed, the medical biller at the doctor’s office will send them over to the insurance provider also known as the payer. Then the insurance provider/payer works with personnel known as medical claims adjusters or examiners who process the claims. 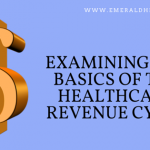 Claims involving a higher amount of money are reviewed by personnel known as medical directors, who determine a number of factors before the claim is approved. Some of these include patients’ eligibility, the medical need for the funds, along with provider credentials. The outcome can either be an approved claim, a claim that is denied or one that is rejected. While approved claims can easily be reimbursed for a specific percentage of the billed services, (as based on pre-determined rates between the doctor’s office and the insurance provider) others that are denied or rejected involve a little more work. When a claim is either denied or rejected a notice is forwarded to the doctor’s office. Non- approval of such claims may be due to a number of reasons such as incorrect personal details, invalid diagnosis codes entered or inconsistencies in other information. A denied claim may be corrected and re-appealed for consideration while a rejected claim needs to be corrected and then reapplied. There are certain requirements affiliated with coding and billing jobs. For instance, the billing process should be compliant with the regulations of the Health Insurance Portability and Accountability Act. (HIPAA) This is required for all official billing. Electronic billing uses software to verify patient eligibility for the requested services with the patient’s insurance provider. When all information has been determined, the medical biller ensures that every patient is charged accurately. Since every medical facility has a different pricing system, the charges should match the standard set, aligned with the fee schedule. Electronic billing makes the whole process, easier, faster and more accurate to carry out financial transactions.